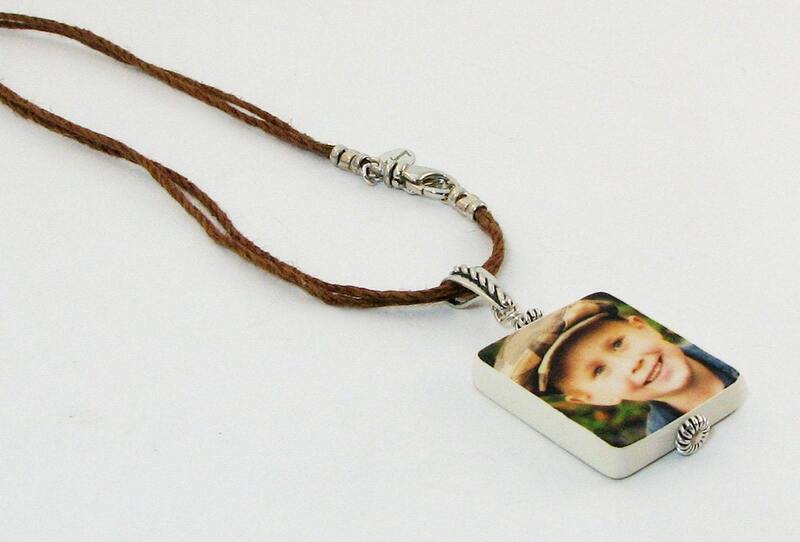 This is a medium, two-sided photo pendant that is up to 1" X 1" in size. It hangs from this sterling silver bail (#5) on two strands of Hemp Cord from 18" to 22" in length. 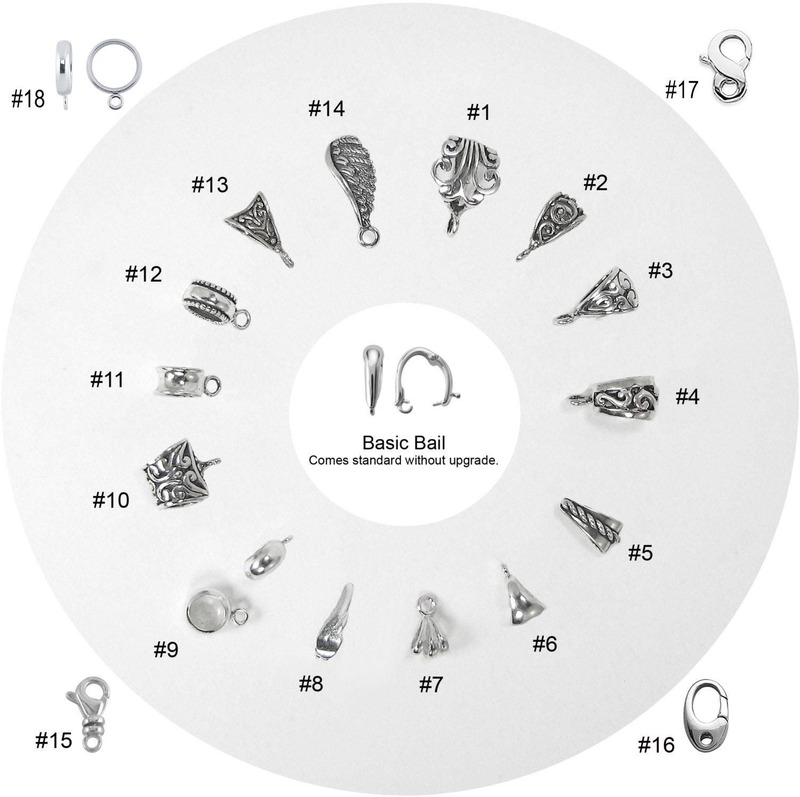 It comes with a sturdy, sterling silver swivel clasp. 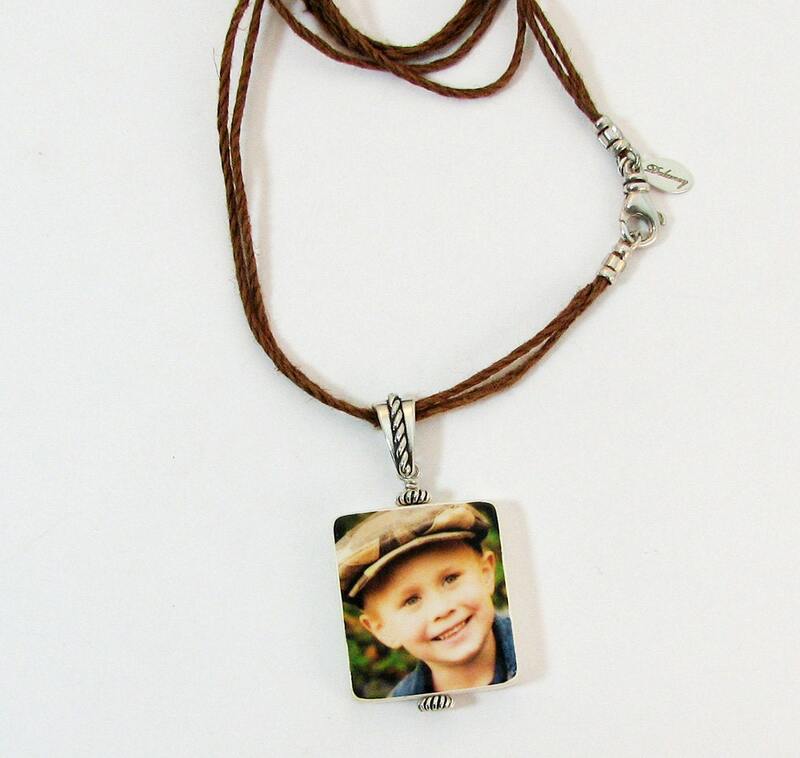 You can order this photo pendant with two images, or request a custom text image for one side and include a special message or date.